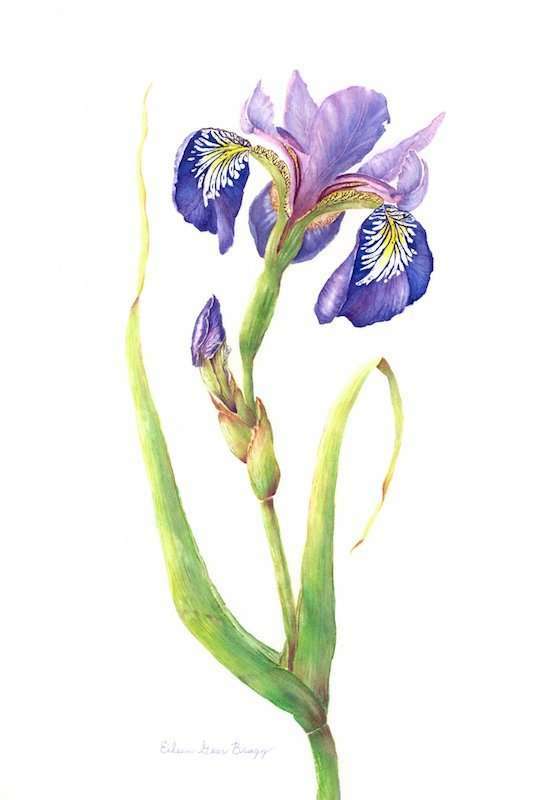 Congratulations to Eileen Gear Bragg for receiving the People's Choice Award for her stunning painting of this province's native blue flag iris. 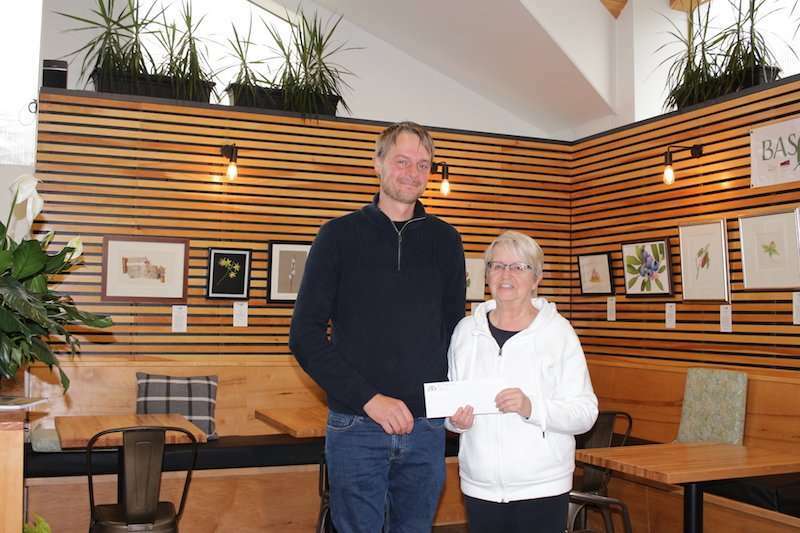 Eileen accepted the $150 Gift Certificate from Evan Murray of Murray's Garden Centre at the opening of our botanical art exhibit at The Grounds Cafe at Murray's. This exhibit runs until June 28th, 2018.